There are lots of great analytic products out there to measure success, but none of them will tell you “how” to become victorious. get started today with a free plan GET STARTED NOW! Everyone Is Working Hard to Get Visitors, but What Do You Do to Maximise Conversion Rate? 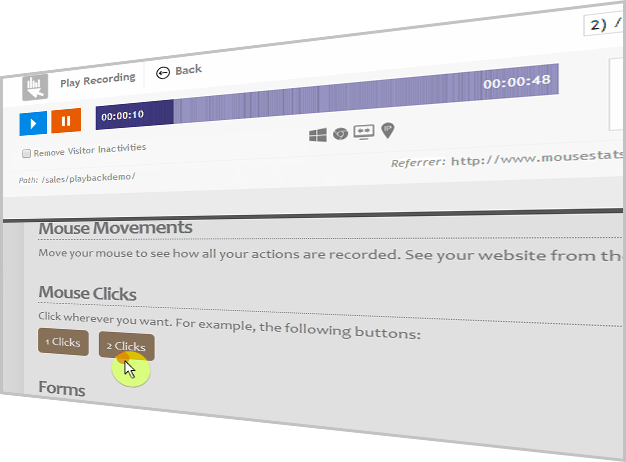 Record the full session of real visitors like a camera on your website and playback their page views like a movie. 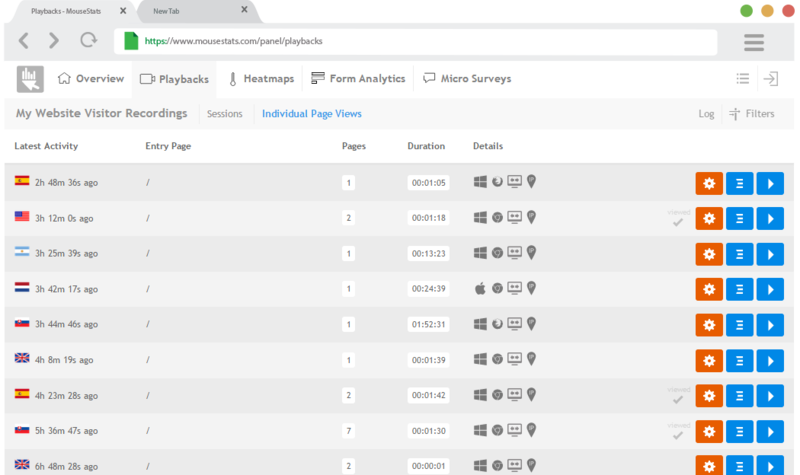 Browse millions of visitor real interactions on your website and understand what they want. 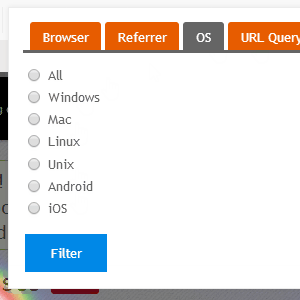 It works perfectly with modern client-side frameworks such as AngularJs, EmberJs, backbone or Ajax-powered websites. Just do what you want and watch the playback of your recorded session in playback demo, or get more information. A great comprehensive solution to collect, process, visualize and understand collective behavior of visitors in all devices such as desktop, tablet and mobile. 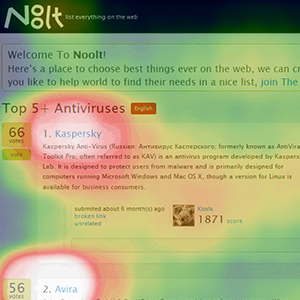 Get more information about website heat maps. Ask your visitors what they think. The combination of statistics and real reviews is an excelent solution to figure out the issues, and achieving to a vast amount of ideas directly from the end-users. 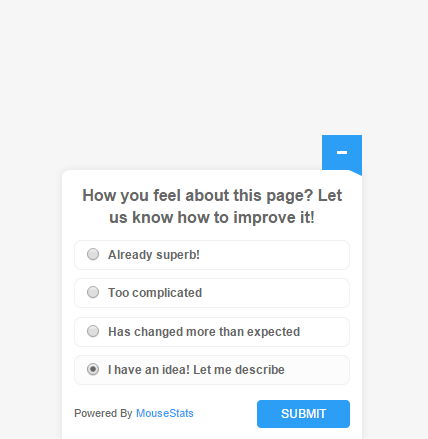 Run your own comprehensive multi-step surveys and ask for people ideas with predefined multiple choice questions or even let them type their own report or concern. 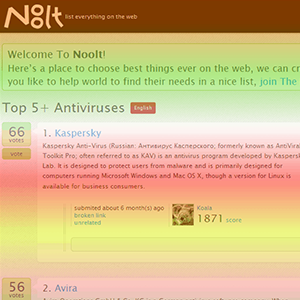 Display messages and customize the colors. This is the lightest survey gadget ever! Check a sample result page, or get more information. Collect and analyze behavior of your form visitors. You will have a comprehensive form report after a short while to improve your forms dramatically. 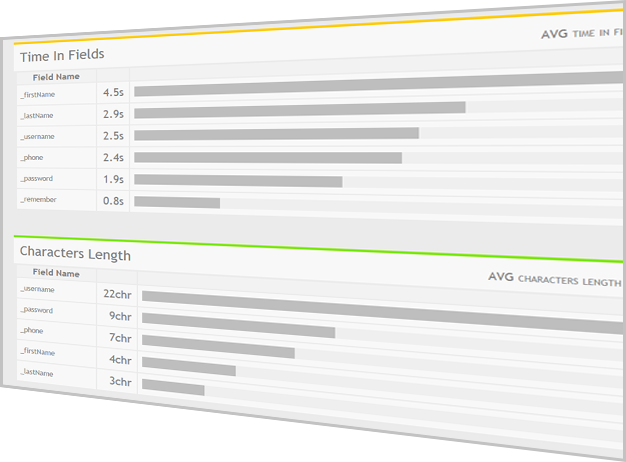 Get more information about form analytics. 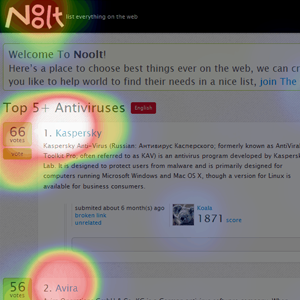 When you can watch and understand your visitors, you can improve their experience. You will find and solve all their problems, you can make everything much easier when you find what they need and how they are using your web pages. When you can find out how real people are using your web pages, you can make improvements, redesign and even really tiny small changes in colors or orders to make a huge difference in conversion rate. According to the behavior of thousands of real visitors, you will find lots of daily confusions and mistakes are made by users on your website. Due to wrong clicks because of your colors, or because of time wasteing because of misordered elements. Using MouseStats suite, you will find most important sections and elements. You will find problems, confusions and troublesome aspects of your web pages. On the other hand, you will find lots of useless parts on your pages. Be objective. You cannot just guess the impact of updates. 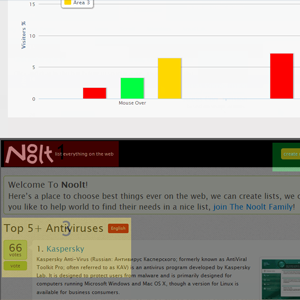 Here you can access the instant reports, comparisons and stats of visitor behaviors. All reports will be updated real time after each new visit. We are living in a real time world, waiting a day for a report is the worst thing we can imagine. HOW DO YOU DECIDE WHICH VARIATION IS RIGHT?